What a weekend at the MotorLand Aragon circuit, where the MOTUL FIM Superbike World Championship and FIM Supersport World Championship riders were finally joined by their FIM Supersport 300 World Championship and European Superstock 1000 Championship counterparts for a game-changing three days of non-stop racing. 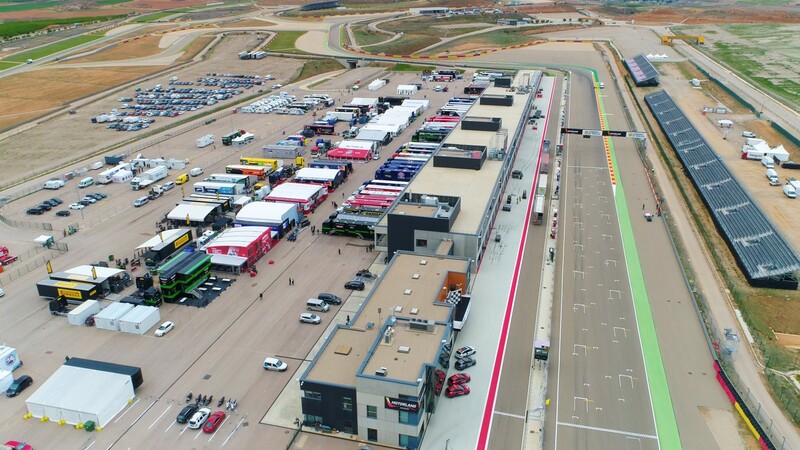 On Thursday, we caught up with the teams making their crucial final fixes before all the action began, as MotorLand Aragon readied itself for the fans. Jump onboard with Xavi Fores (Barni Racing Team) as the Spaniard takes us around his home-country track. 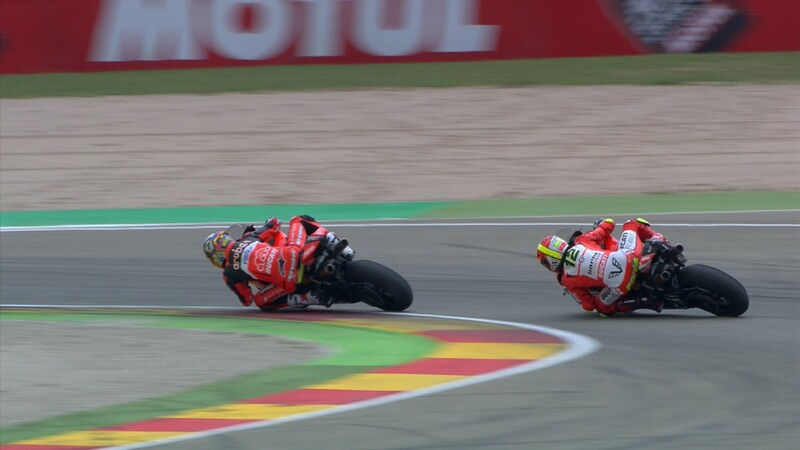 The leading independent rider gives us all the tips and tricks of the five-kilometre, left-leaning circuit, including the exact spot where the Valencian’s Ducati caught fire in 2017’s Race 1. 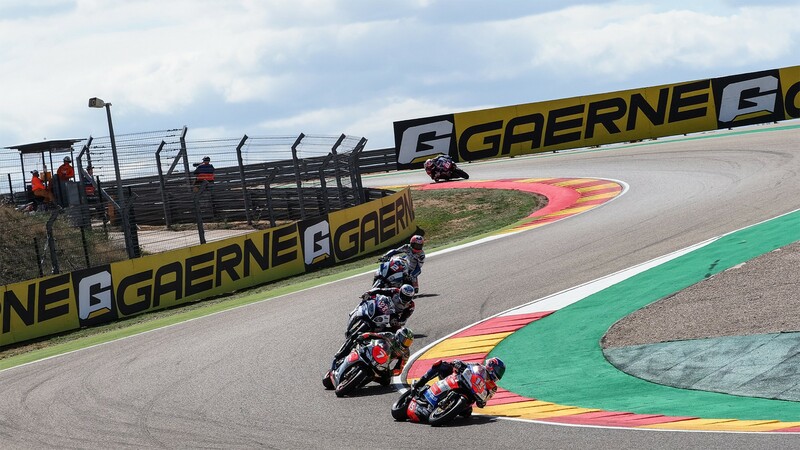 On Saturday, Jonathan Rea (Kawasaki Racing Team WorldSBK) put in a dominant display in a fantastic two-part Race 1, after a horrific three-way collision forced a red flag just three laps in. 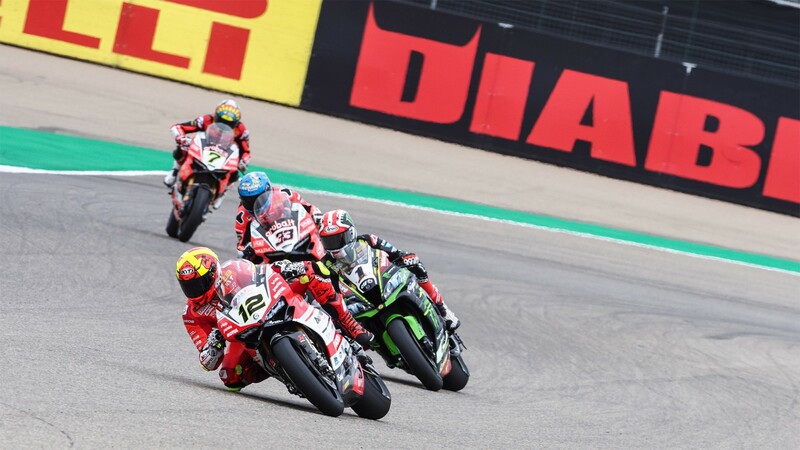 A ruthless Rea took the 25 points, while behind him Chaz Davies (Aruba.it Racing – Ducati) and Xavi Fores engaged in a breathtaking battle for second place, with the victor decided by a hair’s breadth. The sun finally shone on a superb SBK® Sunday, with all four categories taking to the track for several hours of incredible racing. 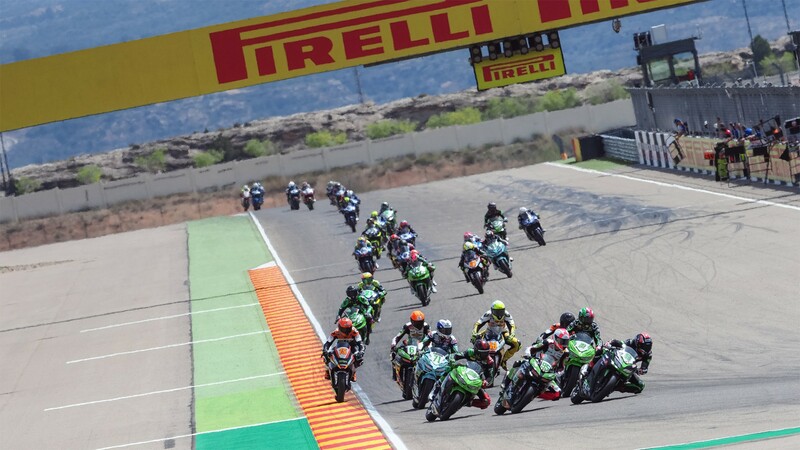 First of the marks were the WorldSSP contenders, where we had a third different winner after three races. Take a look at how it went down with the full highlights of the Sunday opener. 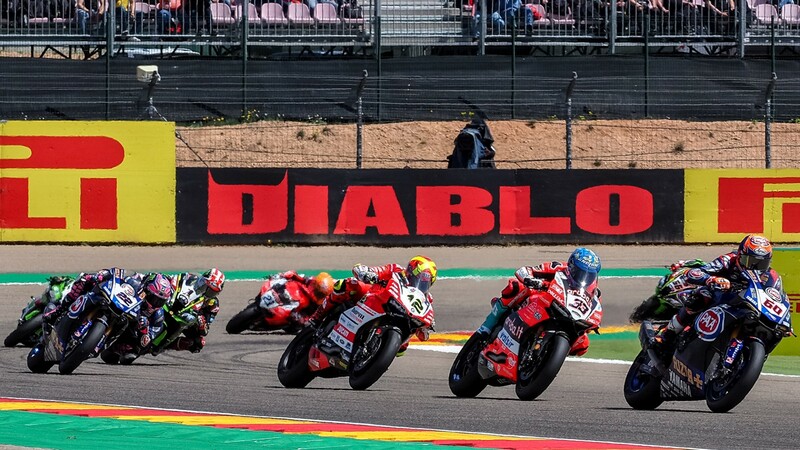 In Race 2 of the WorldSBK championship, a thrilling battle between Davies and Rea fired up the Spanish fans, with both riders twisting and turning together around the Aragon bends in an epic final third. Catch the full highlights of the race with both men starting from row three, and watch them coming together in an electrifying last lap. 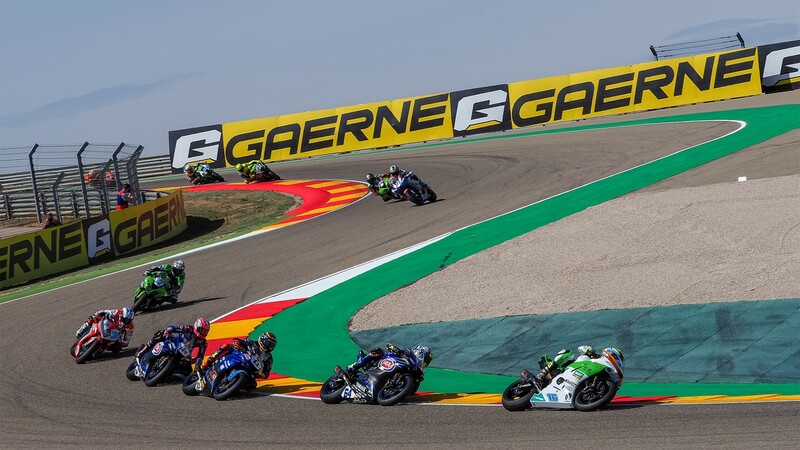 The WorldSSP300 championship is now underway and MotorLand Aragon was presented with a battle for the ages, with up to eight different riders making it to the final lap with the podium in their sights. All eight finished within 0.819 seconds of one another, a riveting conclusion captured in its entirety in our World SSP300 round 1 highlights. 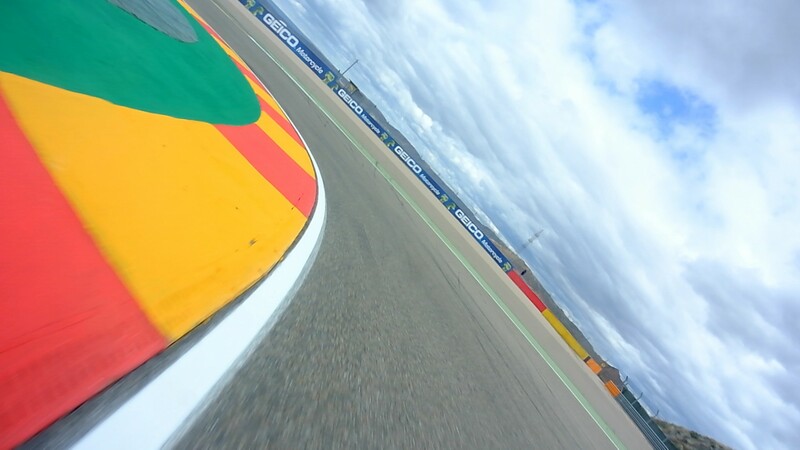 STK1000 also kicked off in Spain with a familiar scene. Watch how Markus Reiterberger (alpha Racing-Van Zon-BMW) made the best of his pole position start to score back-to-back Spanish triumphs, after he won at Jerez in his sole STK1000 race in 2017. 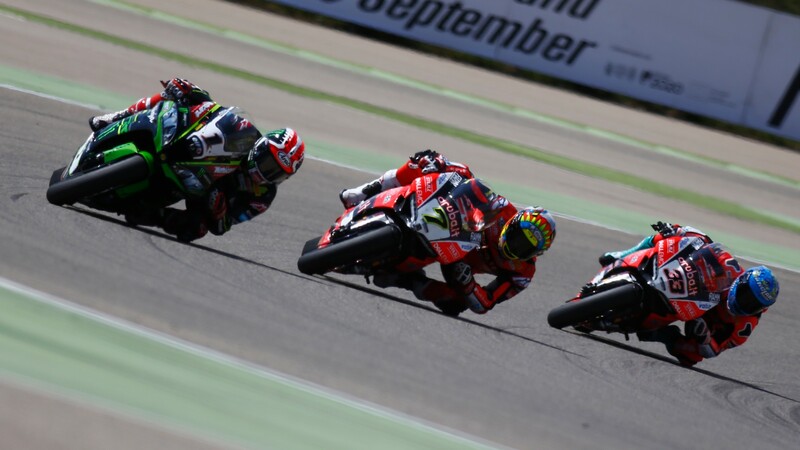 All the best motorcycling action returns this weekend, with all the coverage available on the WorldSBK VideoPass.